Being the Academic Dean of the Institute for Christian Studies is my dream job. I get to work on our school’s academic strategy and develop curriculum, I get to co-create a hospitable academic home for our senior members (a.k.a. faculty) and junior members (a.k.a. students), and I also get to teach! Today I get to teach Lead From Where You Are online. Lead From Where You Are is a hybrid course in our new MA (Phil) in Educational Leadership program, and one of the best things about it is the pioneer cohort of students with whom I get to work. Gideon Strauss is the Academic Dean of the Institute for Christian Studies. I was so excited about starting to teach my course on Black Panther, Afrofuturism, and the Ethics of Liberation this morning! While the readings and viewings for this course are in themselves exciting—we’ll be watching the Black Panther movie and reading some Black Panther comics, we’ll read Martin Luther King Jr. and Malcolm X, we’ll read Steve Biko and Rick Turner, we’ll explore afrofuturism—I am even more excited about the work that we—the students and I—will be doing on understanding ourselves and how we’ll practice citizenship and activism in interaction with what we view and read. It is the first week of the Winter term and midway into my first year as Academic Dean of the Institute for Christian Studies. A good time to start regular blog posts on what it is like to perpetrate deanery at our unique graduate school. I’m excited about Winter 2019! By the end of this term ICS will have articulated a clear academic strategy, the pioneer cohort of our MA (Phil) in Educational Leadership will be deep into their adventurous program, our curriculum for 2019-2020 will be ready, and we’ll have recruited a fresh intake of students for Spring 2019! 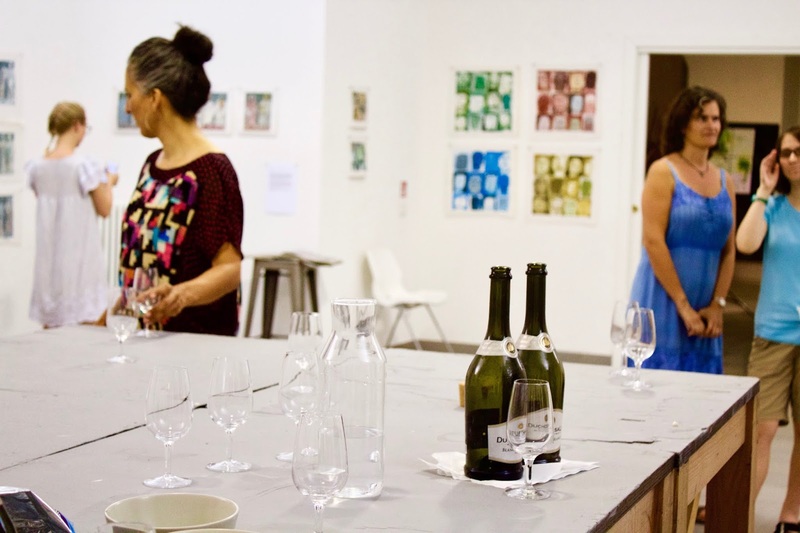 Gallery night, where all participants shared their work from Orvieto. In our last week in Orvieto, we took a little "field trip." Instead of being in Rome, Florence, or Assisi, this one was within the city itself, just a short walk from the convent. 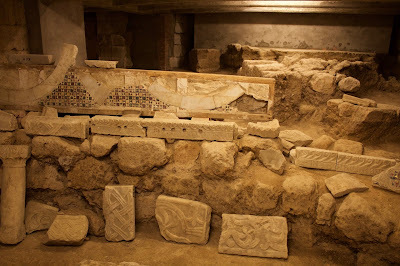 It was arranged for our group to go below the church of San Andrea, to see the archaeological excavations that were going on underneath the floor of the present-day church. Human activity on top of this rock foundation dates back to at least the Bronze age, to some Italic peoples. Etruscan activity begins in the 7th century B.C.E. Our guide was able to show us the cobblestones of an Etruscan road and some home dwellings. After the Etruscans are brought under the long and forceful arm of Roman administration, the distinction between people groups begins to disappear and the Etruscans and their descendants intermingled with the Romans. What is clear, however, is that after they were Christianized they went to nearby Bolsena to avoid a Barbarian invasion, and then later returned to Orvieto and built a church on that site, making use of the Etruscan wells for their baptismal font and the stones of their homes for the church walls. The church at street level is the second one built on the site, the seat of the bishop before the Duomo was built a few hundred metres away. The blending of various people groups and religious traditions is significant, because the Christians who returned to Orvieto and built the font were related to the Etruscans who dug the wells initially. It felt to me like a physical hermeneutic spiral, going around and coming back at the problems of life with fresh insight. Or like an ambitious recycling project, reusing bits of mosaics from pagan temples in Rome to decorate around the altar.